My first time to Kaurava -Kunda betta. I do regular treks with BTC. After a year of gap I wanted to trek to new places not to one which I had already been. Then I got mail from Dinesh (Organizer) trek to Kaurava Kunda. 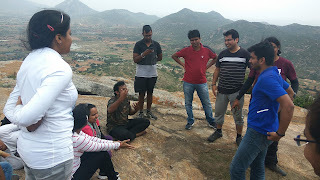 Usually people prefer night trek to Kaurava Kunda, but something for first time we got mail for Day trek. I registered as soon as I got the mail. And was shortlisted. Here I have pen down my experience to KauravaKunda Trek. Since I stay near airport road, I preferred to get into bus near Hebbal instead of going to Majestic. So by the time I and my friend shwetha got into bus there were 19 more people were already in bus busy chatting some sleeping. 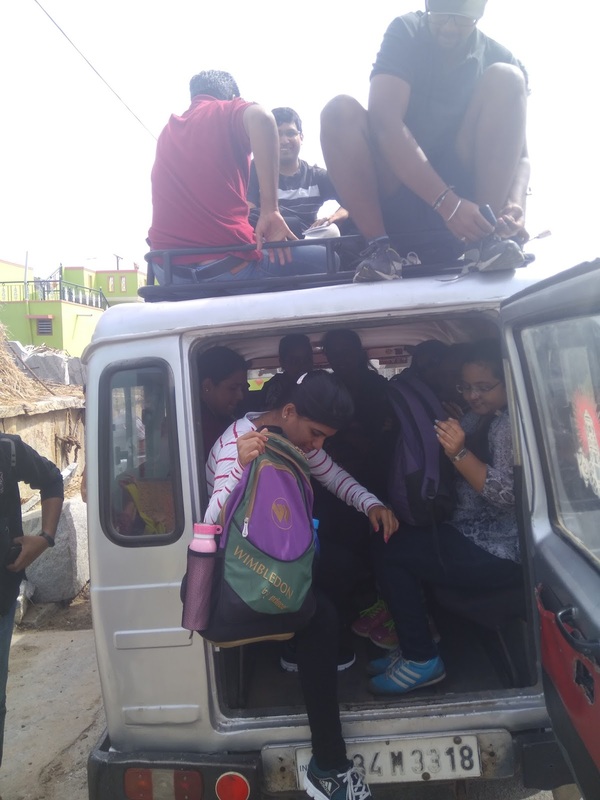 From hebbal its just 1 hour journey to Chikkaballapur. So by 9.15A.M we reached chickkaballapur. From main depot to base of Kaurava Kunda it’s approximately 5kms. 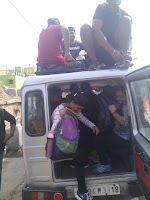 So we walked towards to Kavaranahalli cross from there we took auto where all 21 fit into it J J .It was nice journey sat one above the other few guys on the top it was a fun journey for 10minsJ J. If there is one hill or rather twin hills that is so near Bangalore and yet so virgin and so isolated this has to be it. It is just 75 kilometers away from Bangalore and yet it has largely remained away from public eye. The name of the two hills too are rather unusual. There is not much wildlife here but there are plenty of birds to be seen. The climb to the hills too is rather not that steep and the trek up to the top can be a pleasant experience. However, once you reach the top, you will be buffeted by strong winds and when you look around, you see the outlines of several other hills. 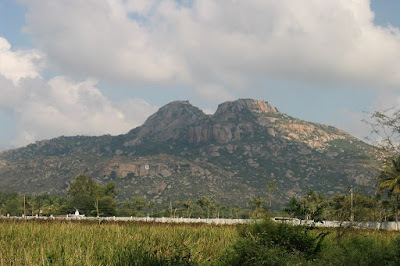 The hills are named after the Pandavas and the Kauravas and they are near in Chikkaballapur district. 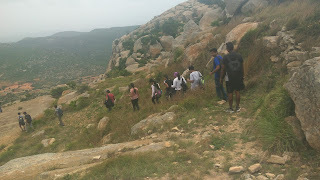 Both the hills are easily approachable from a village called Hariharapura .Hariharapura is a small hamlet in Chikkaballapur village and it is known for these two twin peaks. The peaks are about 75 kilometers from Bangalore and about four kilometers from Chikkaballapur. It was a group of 21 enthusiastic trekkers with mixed people of fresher’s and experienced trekkers. After having a formal introduction about everyone and after BTC rules we started climbing. Team was led by Dinesh and sweeping was done by Aman. 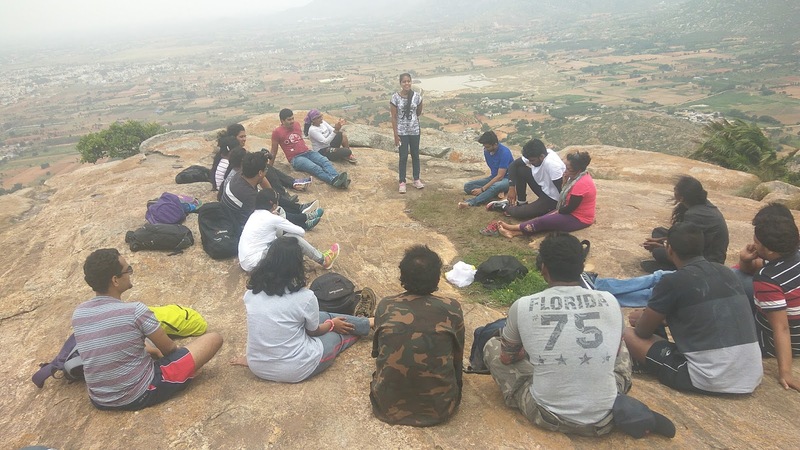 The grassy hilltop of Kaurava Hill or Kaurava Kunda rises to nearly 250 meters and a flight of steps lead to the top. Steps are there till we reach Shiva temple. Once we reach Shiva temple there are 2 ways to go up, which we were not aware of since it was exploration and none of us were knowing it. We took little bit tricky route and started. From temple we go right it’s a easy route to reach top. The route was full of stones, thorns and bushes. Everyone in the team helped each other when there was bit difficult trail. Everyone were busy in their own world talking chit chatting asking about others laughing serious talks and few taking photographs. Within 2.5 hours we were on the top of hill. It was such a awesome view on hill top. Stand in the middle and turn 360 we can see hills surrounded us. Took lot of photos and everyone started exploring the place. Few sat and took rest. After an hour or so our stomach started crying till that we were enjoying the nature wind breeze. I always prefer sitting alone and enjoy the nature. This was a perfect place for this. Now next question is what to do. Dinesh was behind ping pong game. So we decided that we will play. I played it for first time .Omg!! Such a funny game . I can never forget Saylee, Aman Geetha and me. Every time we were bakras (aiooooyyyoooo). I don’t want to explain the game here you have play then only you can feel. So next time in your trek try playing it. Since we had lot of time we played Antaksahri, DumCharades too. From 11.30 to 3p.m we enjoyed at the top and then we took a group photos and started getting down. Within 30 to 40 mins we were at the base. 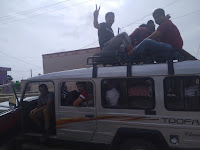 Took the same Auto in which we came back to Bus depot but this time we girls were on top. Poora masti kiya upar bhetkhe . People in that village were staring at us (Ha AH Ha ah). We had hot coffee, tea cool drinks and headed the bus back to Bangalore after feedback session. 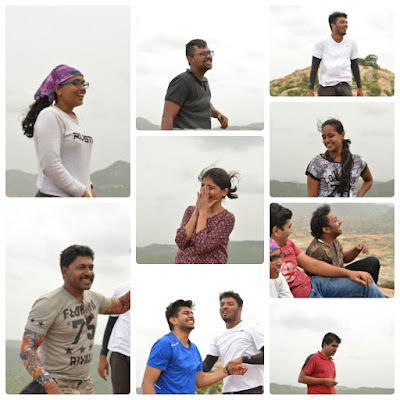 Every trek with BTC is always memorable fun filled one. Though both the organizers were new to organizing team(Dines and Aman) everything was perfectly planned and day ended perfectly.